Another U.S.-funded study gets terrorism wrong. 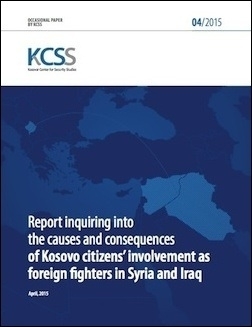 Last month the Kosovar Center for Security Studies (KCSS), a think-tank in the Balkan republic, published a "Report Inquiring Into the Causes and Consequences of Kosovo Citizens' Involvement as Foreign Fighters in Syria and Iraq." The survey was financed by the U.S. Embassy in Prishtina, the Kosova capital, and naturally carried a disclaimer that "the opinions, findings, and conclusions or recommendations expressed herein are those of the Author [Shpend Kursani, a Cambridge graduate] and the Kosovar Center for Security Studies and do not necessarily reflect those of the Department of State." Nevertheless, this is a muddled and faulty document, which will be interpreted correctly by Kosovar Albanians as reflecting official American attitudes to the challenge of the so-called "Islamic State" or ISIS, and a microcosm of a broader Western failure to address clearly the activities of ISIS and other terrorists in the region. The 107-page report is marred by an avalanche of contradictory argumentation. The report comprises 107 pages of analysis, statistics, and diagrams. Such a quantity of data should encompass much that is useful. Unfortunately, while some important problems of Islam in Kosova are disclosed, they are obscured by an avalanche of often-contradictory argumentation. Kosovo has 125 foreign fighters . . . for every 1 million citizens, making it the highest ranking country among 22 listed [Western] countries, followed by Bosnia with 85, Belgium with 42, and Albania with 30 cases of foreign fighters . . . for every 1 million citizens. In terms of the number of foreign fighters [as a proportion of] their Muslim population, Kosovo is in the bottom half of the list of countries, ranked 14th among 22 countries with the highest number of foreign fighters. Given that it is mostly the Muslim population of each of the respective countries that holds the desire to join the Middle Eastern conflicts on religious grounds, compared to their respective non-Muslim populations, it is necessary to look at the number of foreign fighters per capita of their respective Muslim populations. It becomes clear that it is the Muslim population of the non-Muslim majority countries that are mostly affected by the phenomenon of foreign fighters. Since Kosova is a majority-Muslim country, its relatively large complement of fighters for a country of only 1.8 million people shouldn't be a surprise, either. But the report does not say clearly which of the baffling sets of numbers it offers are significant, although the text, after some paragraphs of convoluted remarks on these figures, avers that "violent extremist ideas in Kosovo are embraced by only a small group of people when compared to the overall population size." For Kosovo citizens . . . the overwhelming majority [of whom] are Muslim, conflicts in the Middle East were until recently considered as remote events, with no Kosovo citizen officially reported to have been engaged as a foreign fighter in any of these conflicts, at least not to the extent of the recent wave of foreign fighters involved in Syria and Iraq. Similarly, for Kosovo citizens the rapid spread of the Arab Spring in many majority Muslim Middle Eastern and North African countries was equally as remote as previous events in the Middle East, including the recent unrest in Syria. What went wrong? The report spends much space reproducing the commonplace history of the Wahhabi movement originating in Arabia and the Muslim Brotherhood founded in Egypt, and discloses some arcane but relevant chapters in the history of Islam in Kosova. After 2005, the ideology of al Qaeda—traced through the Egyptian group Takfir wa'al Hijra, or "Religious Purge and Migration," called "Takfiris" in the report—infiltrated Kosova from the neighboring Republic of Macedonia. The latter country has a Slav Orthodox Christian majority, which dominates it politically, and a large, restive Albanian Muslim and Catholic minority. In Macedonia, a group of Islamic clerics who traveled and studied in Egypt and elsewhere in the Middle East had split over whether Muslims should participate in local elections. 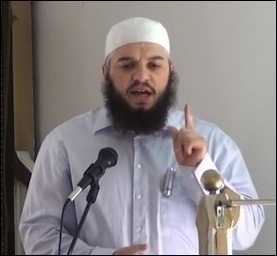 Shukri Aliu, a Kosova imam based in Skopje, the Macedonian capital, sermonized against voting in national elections as "unbelief," beginning in 2003. From 1990 onward Aliu, who studied in Syria, had been expelled from Saudi Arabia as excessively fanatical—a notable achievement in itself—and had sojourned among the Egyptian Takfiris and preached in Macedonia before fleeing to Kosova. He remained in Kosova until 2012 when he was extradited to Macedonia. Imam Rexhep Memishi preaches at Yahya Pasha mosque in Skopje. 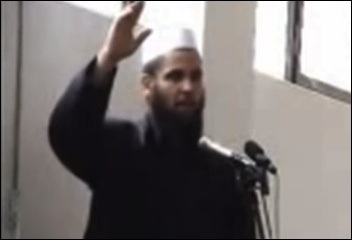 Followers of Aliu became more frenzied, and one of his confidants, Imam Rexhep Memishi, still advocates the terror ideology and incites recruitment to ISIS from the Ottoman-era Yahya Pasha mosque in Skopje, according to the report. Memishi had also been, remarkably, deported from Saudi Arabia for his zealotry. Aliu and Memishi implanted a network of Islamist rage in Kosova, through a group of imams in Kosova's border region with Macedonia. Similar effects are observed, as the report notes, in Albania, Bosnia-Hercegovina, Montenegro, and Serbia. These parts of the report should make clear that ISIS ideology has been exported to Kosova from outside its borders, and indeed the report ascribes much of ISIS penetration of Kosova to that factor. Why, then, the report's inconsistent emphasis on domestic "sociological" explanations for why Kosovars have left their homes to fight in ISIS? Many Kosova Muslims were reintroduced to their religion after the 1998-99 war, but poor, rural Muslims were convinced to accept charity from the Middle East while absorbing radical messages. In addition, the report alleges, Kosova Albanians lack a sense of authenticity, which they find in religious separatism. The report emphasizes "sociological" explanations for why Kosovars have left their homes to join ISIS. Worse, young Kosovars are undereducated, enjoy few opportunities, and live aimlessly. The study cites a notorious American academic apologist for Wahhabism, professor Natana DeLong-Bas, currently at Boston College, as follows: "Political Islamic groups become more credible than the official governing elites because, as DeLong-Bas asserts, they are more familiar with the concerns of the people and their needs." The document uses DeLong-Bas more extensively to ameliorate the brutal image of Wahhabism. But the worst example of the report's ineptitude lies in its recommendations for action to counter ISIS penetration of Kosova. Although the study was financed by the U.S. Embassy, it skims over the U.S. intervention that saved Kosova in 1998-99, and the reserves of goodwill toward the West and repudiation of radical Islam that victory against Serbian aggression created among Kosova Albanians. That these resources could be utilized to counter ISIS or other radical Islamist trends is never considered. Similarly, the report never alludes to the presence of a durable national tradition of respect for other faiths, as well as spiritual Islamic Sufism, which is stronger among Albanian Muslims than anywhere else in Europe, and provides a foundation for countering radicalism. The report urges Kosovar authorities to "take action that would as much as possible restrain security agencies from using force." Instead, the report insists on a "soft" response. It declares, "Arrests, prisons, or sending people to court should be avoided as much as one possibly can." This questionable proposition is supported by recourse to remarks at Barack Obama's "White House Summit on Countering Violent Extremism (CVE)" held in February. The report emphasizes that Kosova State Security agencies "should have a more targeted approach towards violent extremists, i.e. to work more through intelligence based policing, and take action that would as much as possible restrain security agencies from using force (i.e. arrests, prosecutions, etc.)." The Kosova report warns, obtusely, that, according to European Union counter-terrorism coordinator Gilles de Kerchove, speaking at the CVE, "prisons are major incubators of radicalization." But if a Muslim has gone to Syria to fight for ISIS, how would a prison term increase that person's level of fanaticism? Is deterrence of criminality now taken as a wholesale myth? The report declares that moderate Muslim clerics should engage returned jihadis "with the society and potentially de-radicalize or soften the returnees' 'rejectionist' stance." The Kosova study depends heavily on the promise of "resocialization and reintegration" rather than investigation and punishment for atrocities they may have committed on behalf of ISIS. "The work of the rehabilitation program should be separated from the work of the security services and police investigators," according to the report. This strategy has failed everywhere it has been applied, from Saudi Arabia to Britain. "Rehabilitation" of terrorists does not work. Consequential action to defeat and isolate them does work. Those responsible for this report, including the U.S. Embassy in Kosova, have done a great disservice to the people of Kosova, who are allies of America, by its release. But they have earned their pay from the State Department, by issuing a text perhaps unintentionally epitomizing the general lack of will of the Obama administration in this arena. It will be no shock if it is ignored or repudiated by the great majority of Kosova Albanians who oppose ISIS.